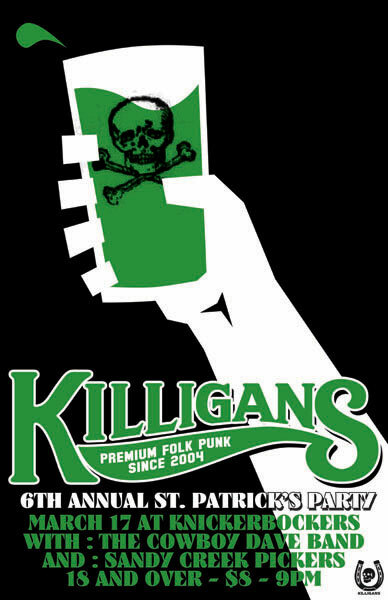 March 17th St. Pats- Killigans 6th annual St Pat’s show at Knickerbockers! REALLY? 6 years we’ve been doing this? WOW. Come on out despite the Wednesday night. Call a cab and call in sick. You will be blown away by the Sandy Creek Pickers and the Cowboy Dave Band. And then we’ll try to finish the show with some classic Killigans’ charm. Make sure to pick up a copy of Honor if you haven’t grabbed it yet.